As the fashion world gets smaller, demand for small batch, locally sourced collections is on the rise. The Glocal movement -- or the interest in globally sourced, locally made products -- is becoming increasingly important in men's fashion, as men become more educated about the clothes, shoes, accessories and even home furnishings they buy. As the Internet helps to educate consumers and raise awareness of the provenance of the clothes men are buying, where things are actually made has become important to them, and has been influencing where they shop, and what they buy. In the US, brands like Wolverine, the century old shoe manufacturers based in Michigan have emerged with 1000 Mile, a collection of shoes and boots all made in the USA, made with American materials, for example. There's also been a resurgence in small, artisanally-minded American made clothing labels that includes Mark McNairy New Amsterdam, a collection of men's suits and sportswear made in New York, that's garnered a huge fan base that runs the gamut from rappers to modern day dandies who support the Made in the USA ethos McNairy supports. But the trend goes beyond American pride. 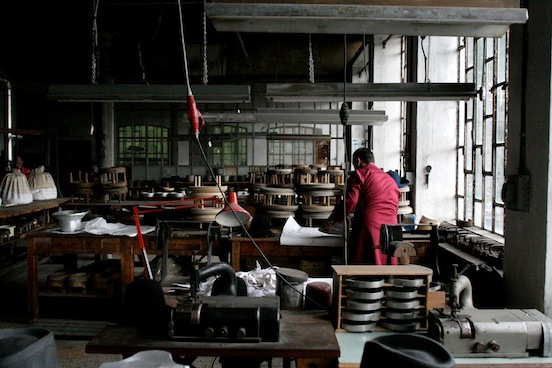 Independent men's fashion designers around the world are tapping into their country's manufacturing traditions, working with all but forgotten local craftsmen and factories in their search for authentic, well made products, and often helping nearly forgotten manufacturing hubs to thrive once again. Savvy retailers are seeking out these small batch companies from around the world, creating more and more demand. 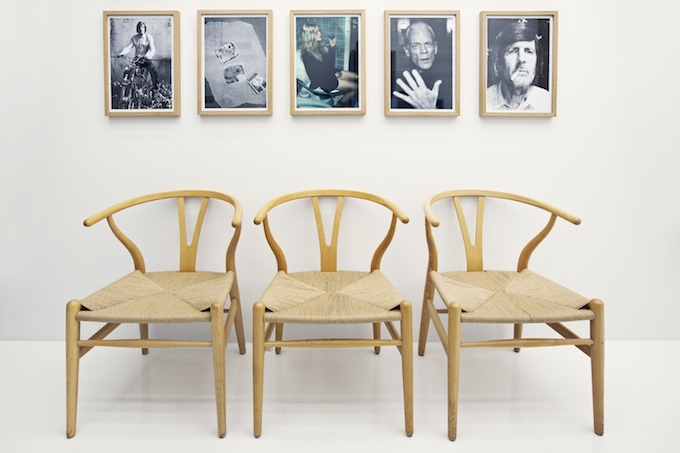 Han Kjobenhavn is a glocally-minded label that's exporting its strong loyalty to Danish design aesthetics to the world. The Copenhagen-based collection of casual menswear and and accessories thoroughly steeped in Danish design tradition enjoys an international cult following aided by the Internet. 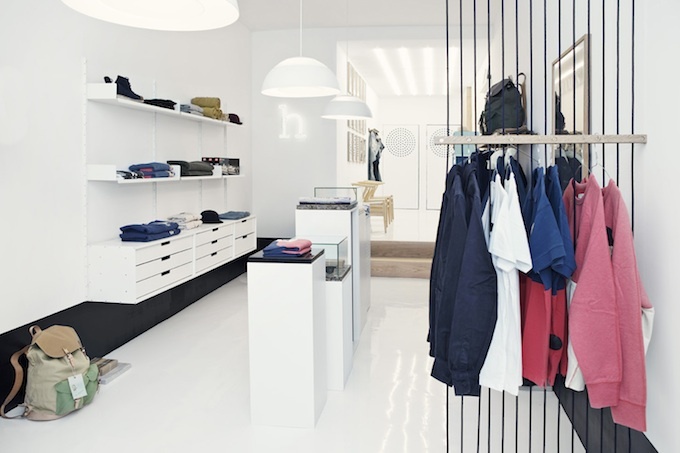 Last weekend, Han opened its first New York store. The sparse, 800 square foot space opened in Nolita last weekend, and everything, from the fixturing and lighting to the fitting room doors were designed and manufactured in Denmark and shipped over, with the goal of immersing shoppers in the full Danish retail experience. Danish lifestyle products such as Lego sets and Danish design books, sit alongside the house label of jeans, eyewear and bags all made in Denmark, boasting an innovative mix of heritage and modern Danish style. "We're talking simple, innovative and aesthetically beautiful," explains the designer, Tim Faith. 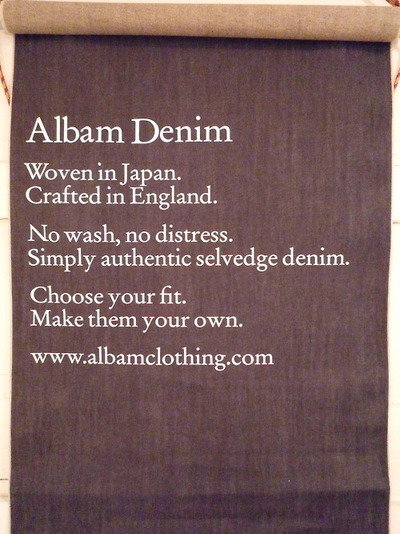 In the UK, Albam is a company to watch, The menswear brand and retailer was created by James Shaw and Alastair Rae in 2006 with the goal of producing and selling original, modern essentials - new menswear classics all made in Great Britain using British materials whenever possible. The brand is currently sold exclusively in the three Albam stores in the UK, and online at albamclothing.com, yet the brand has a global fan base of younger men, who are obsessed with building their wardrobes with well-made goods and are seeking out the quality and sartorial traditions that the Made in the UK label represents. Manufacturing close to home can often save designers money and headaches by allowing them to monitor their manufacturing runs and quality control carefully. And, while they may be more expensive than outsourced production, the local factories often offer fashion houses a level of quality and craftsmanship that can't be replicated overseas. Stefano Ughetii, designer of CAMO, the forward-thinking collection of separates and accessories for men and women draws on centuries of local tradition for his production. CAMO, which is a favorite at menswear trade shows like Pitti Uomo in Italy and Capsule in Paris and New York, is made and crafted exclusively in Biella Italy, a remote town in the Northern province of Piemonte, which has a heritage of weaving and textile making that dates back to 1245. But the final product is nothing but modern - colorful drop crotch trousers cut from top of the line Italian wool, worn with well-tailored unstructured blazers are highlights of the collection. "I work with little laboratories that are usually family-owned businesses that specialize in very unique products. This way the manufacturing is on a very high level and I can develop a special way of working with them based on a useful exchange of views. The product is not dictated but, rather, is created by discussing all of the details that I propose." Ughetti employs local craftsmen to cut, sew, and even dye the clothes locally, and locally made fabrics whenever possible. Todd Barket, owner of the highly influential Union Made boutiques located in San Francisco and throughout California is known for his support of American made brands, and classic American style. Yet he also seeks out locally-made products from around the world, which offer the same high level of quality and timelessness that his stores are known for. Barket recently posted photos on the store's Instagram feed from a buying trip he took to Japan to source locally made Japanese clothes and lifestyle products. "There's nothing like a trip to Japan to remind you of the beauty that comes from an obsession with detail, quality and authenticity. Japanese products that we like tend to be great quality and compliment our assortment nicely." he says. The SS13 collection from Japan, which went live this week on the shop's web store, is selling out fast. As the fashion world gets smaller, demand for small batch, locally sourced collections is on the rise. Independent brands can now draw on local manufacturing expertise to create unique, well made collections, while reaching a global clientele via e-commerce and the glocally minded independent boutiques who support them. 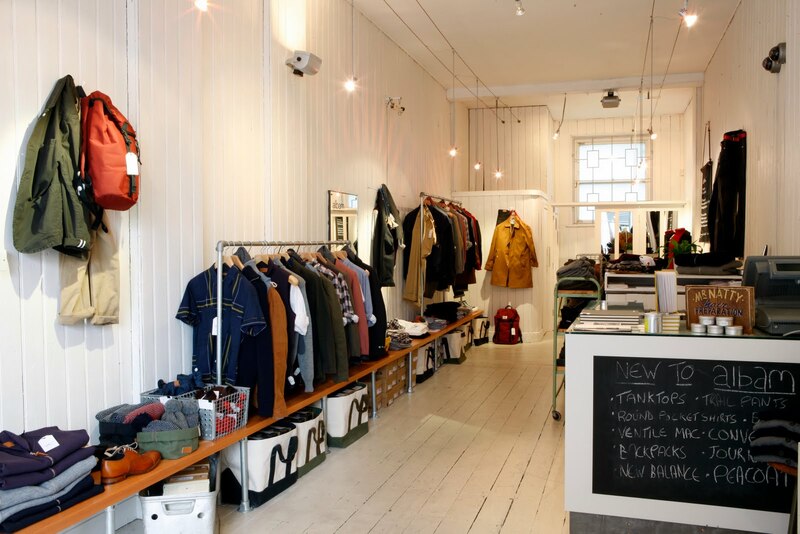 As men become more discerning about their wardrobes, the shop global / make local trend will only continue to grow.